A blacklist refers to a collection of entities that are blocked from communicating with or logging into a site, computer, or network. Blocked entities are identified as user IDs, domains, IP addresses, email addresses, MAC addresses or programs. Blacklisting is a very common feature in antivirus programs, spam filters, and intrusion prevention/detection systems. Blacklists limit interactions with known sources of problems and prevent potential attacks. Domain Name System (DNS) Blacklists, also referred to as (DNSBL's or DNS Blacklists), are spam blocking lists that permit a website administrator to block messages from particular systems that have a history of sending spam. 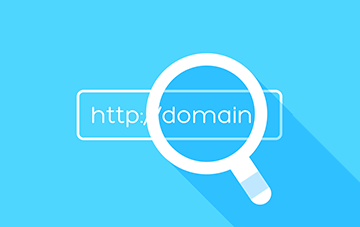 The lists are based on the Internet's DNS, which is responsible for converting complex, numerical IP address such as 140.239.191.10 into domain names like example.net, making the lists a lot easier to use, read, and search. If the maintainer of a DNS Blacklist has a past history of receiving spams from a specific domain name, then that server would be "blacklisted" and all messages sent from it would be either be flagged or rejected from all sites that use that particular list. You should never do any of these things in order to prevent Google or other search engines from dropping the rank or displaying a warning to the users. However, sometimes things could go beyond your control when a site gets hacked or malicious code gets injected by a module, plugin, etc. To prevent such threats and obtain effective domain blacklist checks, you will have to go in for a security solution capable of executing domain blacklist checks and preventing malware infections, phishing activities, unnecessary downloads, etc. All these essential security requirements and many more can be obtained through cWatch, a web security solution developed by Comodo. Comodo cWatch Web is powered by an advanced analytics-driven Security Information and Event Management (SIEM) capable of examining event data in real time and providing security intelligence for early detection of breaches and threats, log management, rapid incident response times, and compliance reporting. To execute all this, the Comodo SIEM aggregates data from more than 85 million endpoints and 100 million validated domains and incorporates it with contextual information about assets, latest threats, users, and existing vulnerabilities so that it can be analyzed followed by generating actionable insights. SIEM can also gather, store and log data for proper forensics and threat resolution. Comodo has been able to achieve all of this and much more because it has been in the Advanced Endpoint Protection (AEP) and TLS/SSL certificate business since 1998. The company’s many sources of data include validated domains, the monitoring of current events globally to feed threat intelligence data through its SIEM process, and information being captured from endpoint activities. On the whole, Comodo cWatch Web is a Managed Security Service perfect for websites and applications. This web security tool combines a Web Application Firewall (WAF) provisioned over a Secure Content Delivery Network (CDN). It is a wholly managed solution from a 24x7x365 staffed CSOC of certified security analysts and is powered by a SIEM that leverages data from over 85 million endpoints in order to detect and mitigate threats even before they occur. Other services provided by this tool includes malware detection scanning, preventive methods and removal services to enable organizations to adopt a proactive approach in order to protect their business and brand reputation from infections and attacks. Furthermore, cWatch also offers vulnerability scanning to provide online merchants, businesses, and several other service providers handling credit cards online with a simple and automated way to stay compliant with the Payment Card Industry Data Security Standard (PCI DSS).